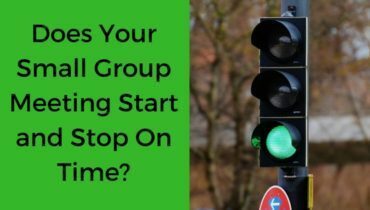 Are you having difficulty writing small group discussion questions that ultimately lead to life changing conversations and decisions? It is intimidating at first. However, like many things, it becomes easier and better over time. Following a proven process can help as well. Strive for quality over quantity. The best small group discussion questions will stimulate a significant amount of discussion from many participants. A small number of these thought-provoking questions will encourage more positive changes than many questions that do not result in much discussion and insight. Below is the 5-step process I use to write small group discussion questions. It doesn’t matter if the study material is the Sunday sermon, a video, study guide, or solely from the Bible. This process works for all of them. It is important to ask Holy Spirit to be your ultimate counselor as you prepare for each of your small group meetings. He knows what you and your group members need. You are entrusted to lead them. Pray for guidance and wisdom as you prepare and perform your leadership role. Be sensitive to the direction Holy Spirit leads you. The next step is to get into the mindset of a person who knows very little to nothing about the discussion topic. Take a few minutes to pretend in your mind that you are a novice before reviewing the study resources. You want deep, motivational discussions. Right? It may seem counter-intuitive to get into the mindset of a “new Christian” to create questions that will result in those desired discussions. I have discovered that a discussion is driven to the needed depth and direction by the group members, as long as the question starts on a basic level. Using a question that starts deep has the danger of some group members being unable to participate in the conversation. As you pretend to lack knowledge on the topic, review the study resources and write down all the questions as they come to you. This would include asking questions about the definition of some uncommon words. You can also take notes at the same time to be used to inspire more questions in a later step, if needed. Tip: Feel free to have your group members propose questions for you to use. This not only gives you more questions from a different perspective, it also encourages your group members to do a more thorough review of the study material before your group meeting. Imagine how this one thing could improve the conversation. Identify which category each question naturally fits into. To learn more about these categories click here. If you feel you need one or more questions in the categories, develop them using your notes or rewrite a question from another category to fit the need. Review each question for quality. If you don’t have a checklist to work from, you can start from the list of quality characteristics I talk about in blog post What Makes a Great Discussion Question?. 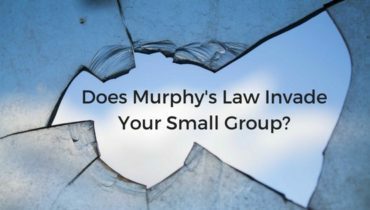 If you don’t have a process to write quality small group discussion questions, consider giving this one a try. Edit the process, if needed, to meet the specific needs of you and your group. Then share what works best for you in the comments. Question: What method do you use to write quality questions? You can leave a comment by clicking here.